A limited-edition, silver-accented gift card. Have you got a shopaholic in the family? Want to make their day? Give them this exclusive One4all Gift Voucher, emblazoned with our top high street brands, and watch their face light up. Whether they have an Argos catalogue filled with bookmarks or they have their eye on a dress in River Island, this Logo Card will be a perfect way to check them off their list. TK Maxx, H. Samuel, New Look, B&Q… With such a huge range of retailers to choose from, the possibilities are endless! 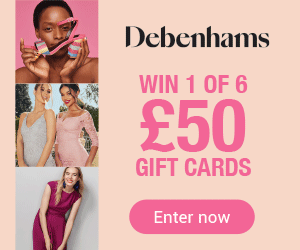 Accepted in over 50,000 outlets, including Debenhams, John Lewis, Waterstone’s and many, many more, a One4all Voucher is a great way to treat a friend, say happy birthday or spoil someone in your family. The gift card can be spent in-store or online in as many outlets as they want, so they can even use it to pay for a meal following an exhausting shopping trip! Choose your load amount and have the card sent directly for instant delight. 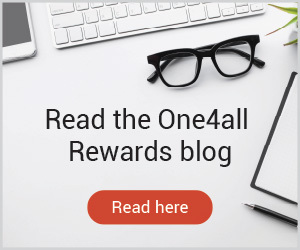 The One4all Voucher is a multi-store gift card, and can be swiped like a Visa card in participating retailers or used online where accepted.